Welcome to the the Internet home of the Illinois Valley Oldsmobile Chapter of the Oldsmobile Club of America. 2019 Quad States Show - September 13 & 14 - Pheasant Run, St. Charles, IL. 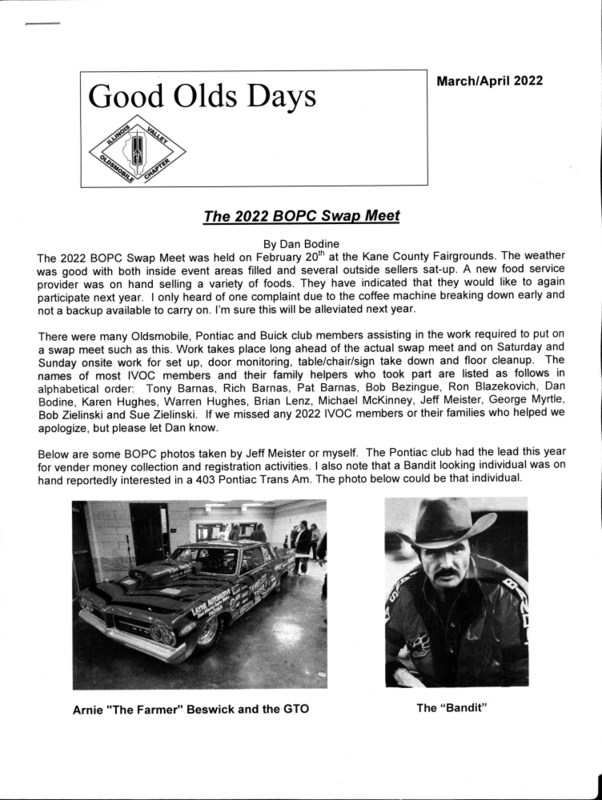 We are constantly featuring some of our members cars in our monthly newsletter, the "Good Olds Days". Send us a photo of your car, along with a story about it and we'll get it published.